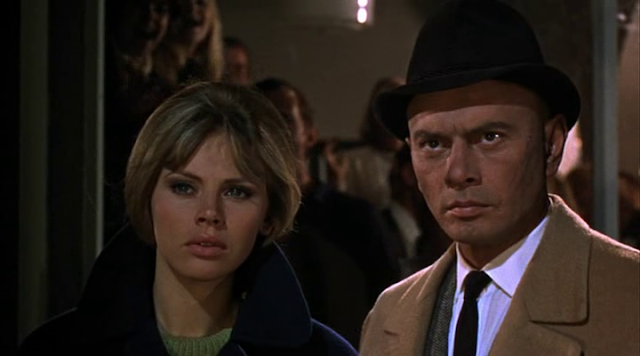 Before she was featured in The Man with the Golden Gun, Britt Ekland appeared in another spy film: The Double Man. 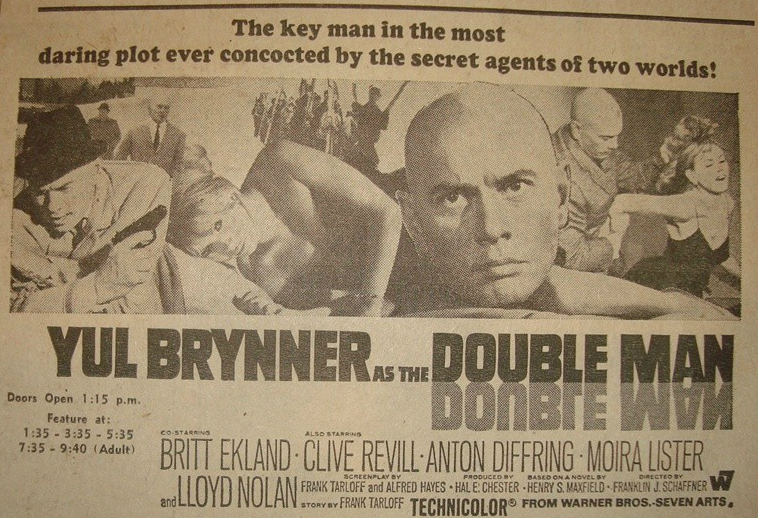 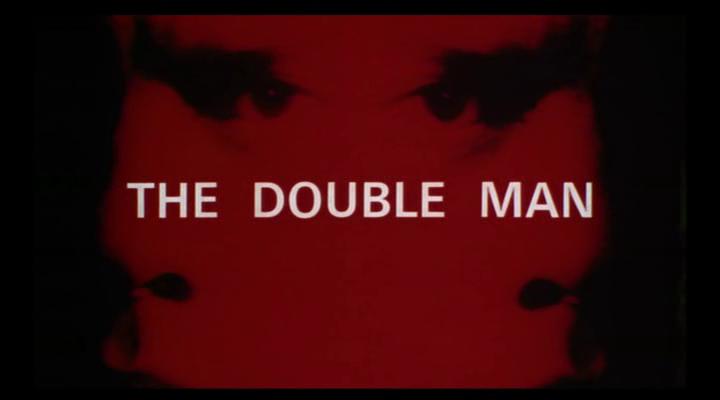 Directed by the amazing Franklin J. Schaffner and starring the legendary Yul Brynner, The Double Man is a classic not to be missed. 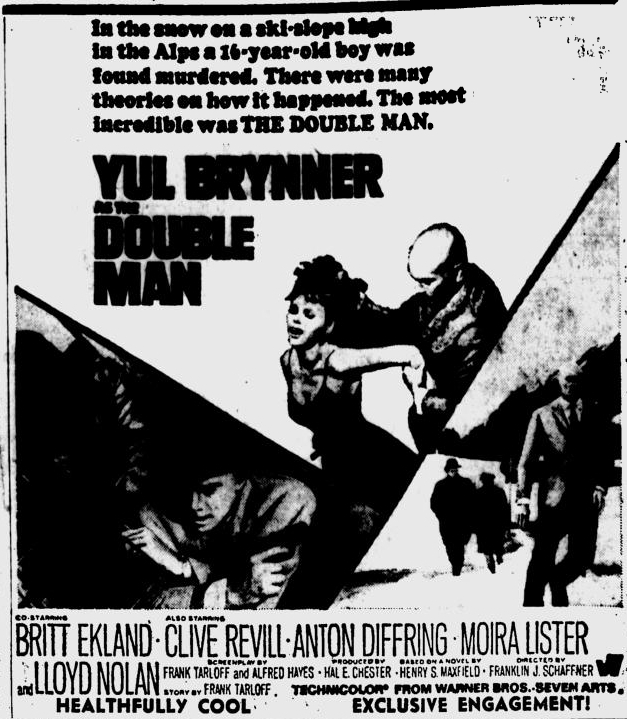 Though the scale of the film is small, taking place mostly in and around an Austrian ski resort, it is a fun and tense ride as Yul Brynner discovers that not only has his son died but something altogether more sinister is going on. 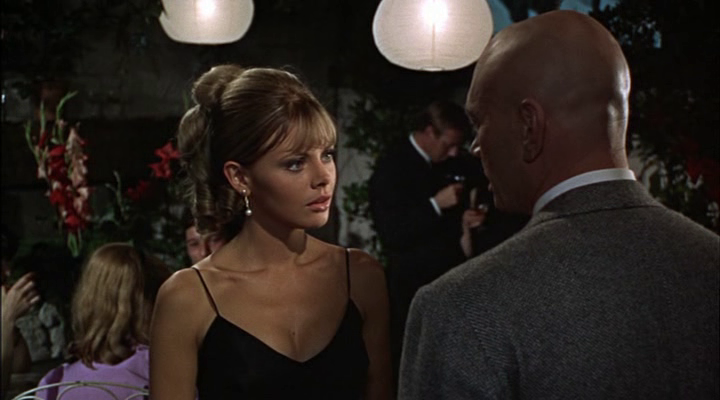 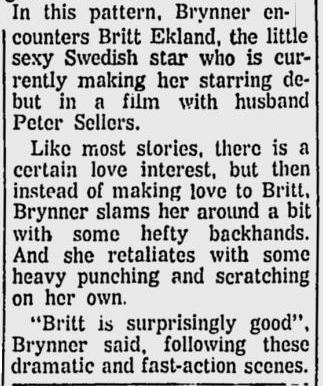 Britt Ekland is around as superior eye candy.